Your daughter will love this colourful Jaked Girls Olympic Swimsuit - Blue / Red. Made with Jaked's Vita material which is 78% Polyester - PBT & 22% Xtra Life Lycra to give excellent shape retention it uses a Jaked Classic Fit design which is designed for regular use and to be comfortable and suitable for everyone to wear. 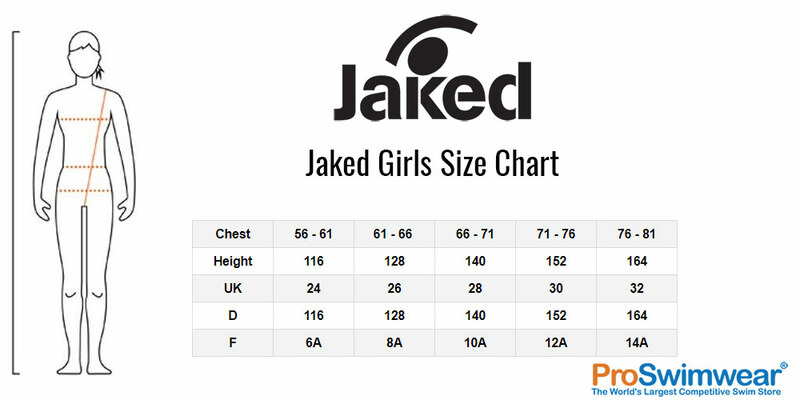 Jaked Girls Olympic Swimsuit - Blue / Red is a great choice for club and leisure swimmers. The swimsuit is made with Jaked's Vita material which is 78% Polyester - PBT & 22% Xtra Life Lycra to produce a swimsuit with excellent chlorine resistance with excellent shape retention. It uses Jaked Classic Fit design which are designed for regular use and to be comfortable and suitable for everyone to wear.